Here at York Minibus, we’re known for our outstanding vehicles and our ability to provide the very best in Luxury Coach Hire Services in and around York. From Luxury Coaches in York to speedy and polite post-event transportation for your guests, we will ensure that your party enjoys each leg of the journey. If you long to experience York at its finest, but also enjoy an extra special journey aboard a luxury coach with all the trimmings, York Minibus is at your service with a fleet fit for a king. 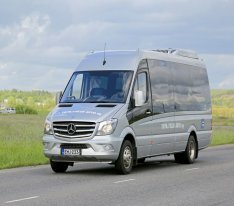 This is Mercedes minibus 16 seater executive plus luggage small coach groups, our coaches can accommodate up to 16 people with our for any occasion and have ample room for luggage. Perfect for both business and hospitality, our fleet of luxury hire coaches never fails to impress. Avail yourself of our Luxury Coach Hire York package, and you’ll be guaranteed a top-notch personalised service, with dedicated staff standing by to make your journey with us all the more enjoyable. Our offering is ideal for both private and corporate coach hire, and our impressive range of coaches provides luxury transportation to the highest standard for large parties. More intimate groups can also inquire about our Private Coach Hire service, and book ahead to secure the best deal. The Luxury Coach Hire York package includes vehicles that feature sumptuous leather interiors, carpeted aisles, privacy screens or curtains, armrests, private lounges, high-tech equipment and various optional extras. The entertainment units consist of plasma screens, public address systems, DVD players and more, and we’re eager to update our facilities based on your suggestions, and we aim to match the most exacting standards. Travel in style and make every second aboard our vehicle matter when you book our Luxury Coach Hire York package. Simply call York Minibus today, and our representatives will guide you through the process.